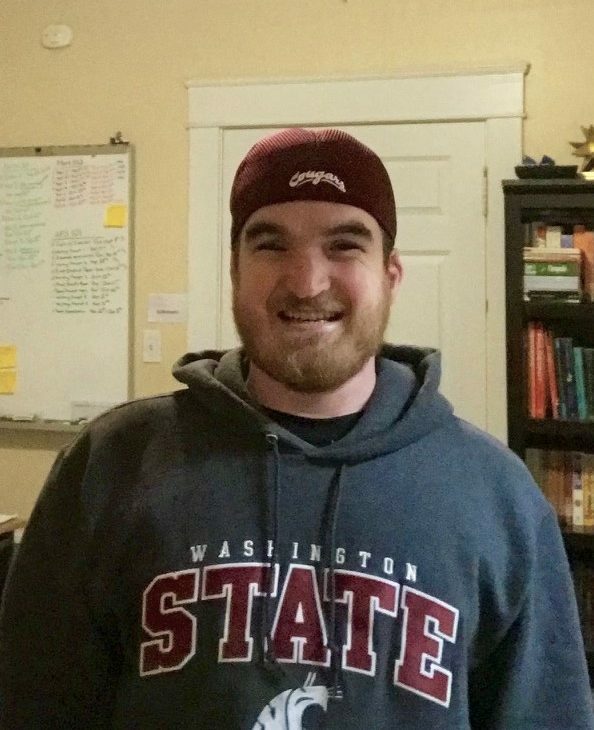 My name is Matthew Tumlinson, and I’m a junior undergraduate transfer student in my first semester at WSU. I’m working on my B.S. in Field Crop Management with a minor in Crop Science and working toward a certification in Organic and Sustainable Agriculture. I grew up mostly in Vancouver, Washington. I also lived in a pear growing region of northern California and a cherry growing region in Oregon for several years. However, during those times I had no knowledge of and little interest in agriculture; now I see those as opportunities missed. It was only during the last five years that I became interested in agriculture and the possibility of hobby farming for myself. My interest in agriculture mainly stems from a concern for the environment and a fascination for how plants work. Once I began to realize how connected agriculture and the environment were, I knew it was something I wanted to be a part of. 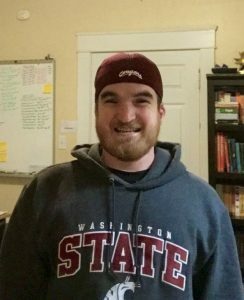 The 2018 Tilth Conference in Spokane, Washington was my first Tilth Conference experience. I was curious to see what the social climate surrounding Tilth was like and what was being done to raise awareness about the importance of soil health. I was looking forward to hearing about the overall vision for soil health in our area, as well as what resources are available to new or young farmers interested in getting started in agriculture with their soil’s health in mind. The conference sessions covered a range of topics from farm financing to sustainable farming practices. I walked away feeling inspired and impressed with the tireless work being done within Tilth Alliance to provide resources to farmers, students and the community; as well as with the variety of people in attendance and the different areas of expertise that were represented. The guest speakers all gave insightful and interesting presentations and there was so much knowledge to absorb. One of the sessions that appealed to me was titled, “Finding Land to Farm, Finding a Farmer for Your Land”. The session had a panel of four speakers, Julie Kintzi of Cart Before Horse Farm; Chandler Briggs of Hayshaker Farm; and Jim Baird of Cloudview Farm. The session was moderated and contributed to by Amy Moreno-Sills of Four Elements Farm and PCC Farmland Trust. Julie and Amy both have off-farm jobs to support their small farms. Off the farm work will be necessary in my case, so I took some perspective and inspiration from that. I attended this session to learn about the hurdles of finding land and starting a farm, as well as balancing work life on and off the farm. They provided some very useful information about loan types and the Farm Link website for acquiring agricultural land. This was a session I was glad I attended. The other session I thoroughly enjoyed was titled, “Using Native Bees to Increase Farm Yield,” presented by Dave Hunter of Crown Bees. Crown Bees has a great website that promotes native bees and carries supplies to help support these bees. I’ve been interested in beekeeping for a while and this session was big motivator for me. Dave talked about solitary bees and how they are different from bees belonging to colonies, and how efficient each are as pollinators. While all pollinators are generally good, Dave showed that some pollinators are having greater positive impacts than others on crop yields. There was much I didn’t know about bees which he discussed and there is much more that I’d like to learn about now. The session left me anxious to have land of my own and to be able to provide a habitat for pollinators in the future. I would like to thank the Center for Sustaining Agriculture and Natural Resources (CSANR) for giving me the opportunity to attend the 2018 Tilth Conference. It was a great experience and one that I would highly recommend for any student interested in agricultural sustainability.